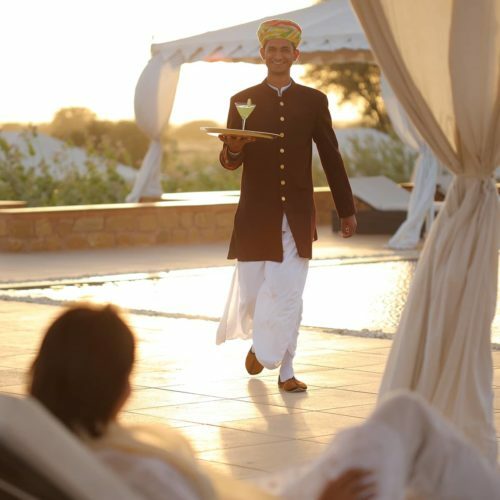 A luxury desert camp and spa, SUJAN Luxury Hotels' The Serai, Jaisalmer is a member of Relais & Chateaux and comprises of 21 large canvas tents set on thirty acres of a hundred acre estate of indigenous desert scrub in the Great Thar Desert. The Serai features a swimming pool inspired by a traditional Indian step-well, a SUJAN Spa created by Raison d'Etre, one of the leading Spa companies in the world, a Dining Tent and Lounge Bar. 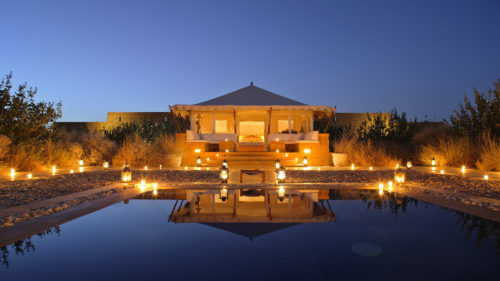 Each Tented Suite is pitched on a base of local Jaisalmer sandstone and features a relaxation area, covered sitting room, spacious bedroom and en-suite bathroom. The Royal Suite features its own private Spa, outdoor pool, dining and lounge tents. Guests meet for pre-dinner drinks around the camp-fire, with live music performances from local folk musicians. 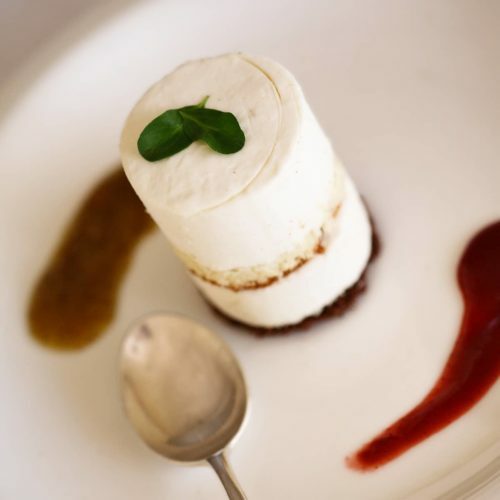 Guests can choose to dine in the Dining Tent or opt for private al-fresco dining areas in and around the property. 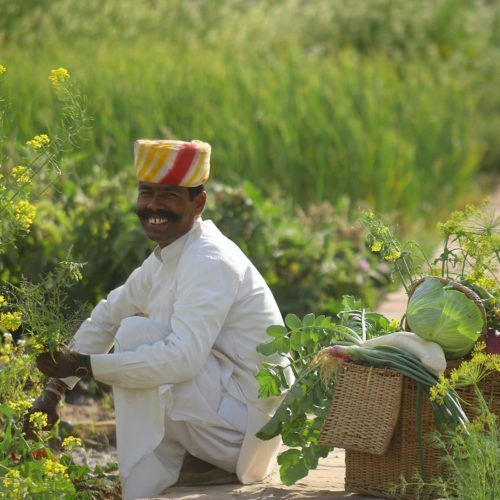 The Chef at The Serai will serve sumptuous local delicacies including western options, using home-grown organic produce. 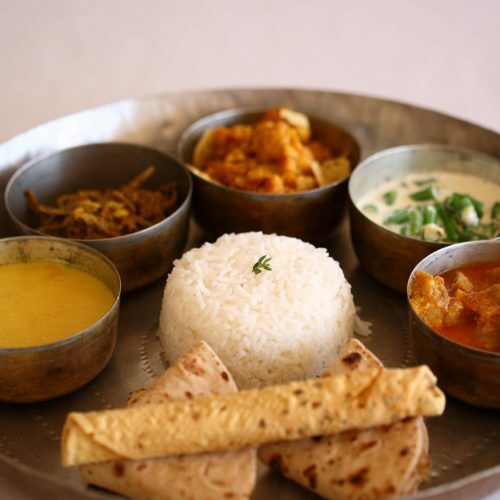 One of the most beautiful campsites in the world, the Serai boasts one of the best restaurants in Rajasthan and truly is a secret of the Thar desert. 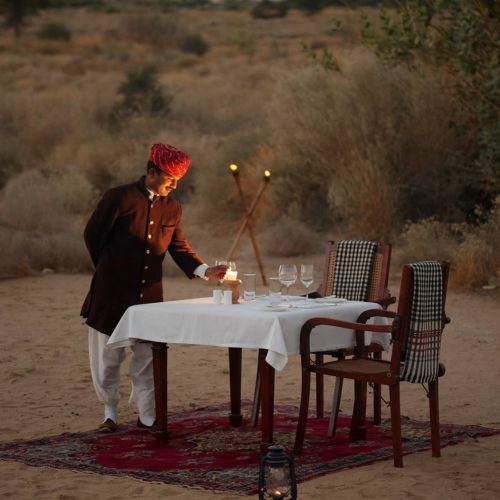 Being such a novel experience, the Serai campsire also featured in our top 10 things to do in Jaisalmer. 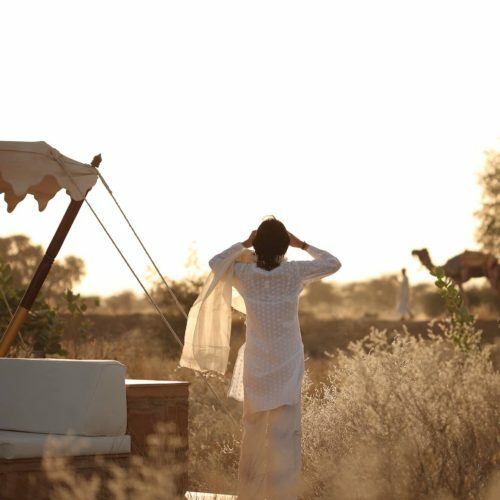 To visit the Serai desert camp and experience it for yourself, you can find it in our Ride the Romantic Desert itinerary.